This dish is not only pretty, but it tastes good too! Green Pulao, or Hara Bhara Pulao, goes very well with any meat dish. It is very popular on festive occasions and holidays such as Christmas and is the kind of dish you can add to, like including green peas or fresh spinach leaves. The rice is combined with a spice mix typical in Indian cuisine called hara masala which gets its green color from cilantro, mint and green chilis. They are blended with onions, ginger, garlic and other spices to create a fresh-tasting and flavorful paste. By adjusting the number of green chilies, you can make it as hot or as mild as you like. Or leave them out altogether if you don't want any heat at all. 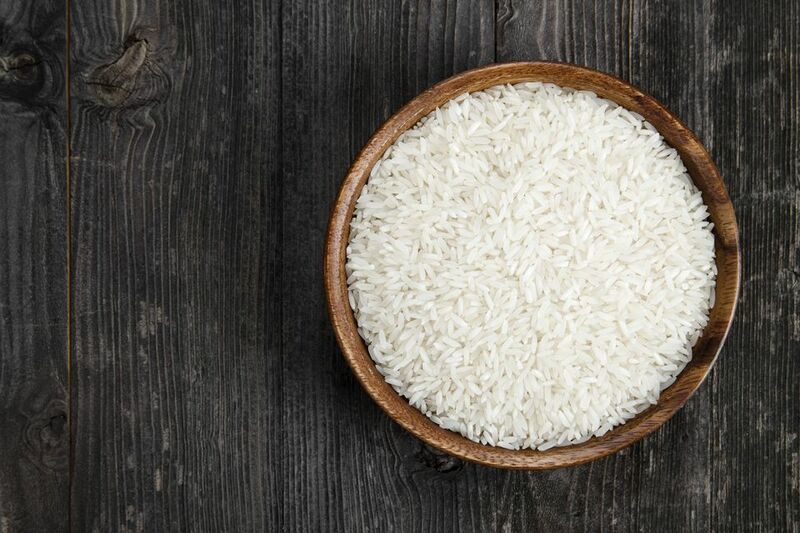 Wash the basmati rice well and set aside to soak for 10 minutes. Heat the oil in a deep heavy-bottomed pan and add the cumin seeds. Cook until they stop spluttering. Add all the other whole spices and fry for a minute. Add the hara masala, 1 1/2 cups of water and salt to taste. Mix well and bring to a boil. Reduce the heat to a simmer, cover partially and cook until the rice is done, about 15 minutes.